Rays Official Watch Party at GameTime in Ybor City! 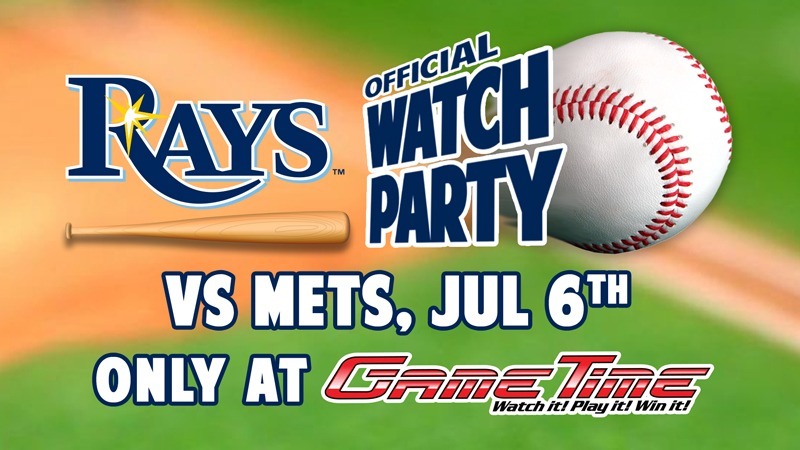 Watch the Rays take on the Mets with Neil and the Rays Street Team on Friday, July 6th at GameTime! The division rivalry begins with the pregame show at 6:30 and first pitch at 7:10. Dine N’ Play for only $16.99 and enjoy 50% off cocktails, beer & wine during Happy Hour from 4pm-8pm. After 8pm get $5 Double Play tequila shots with $3 Bud Light pints all night till 2am!